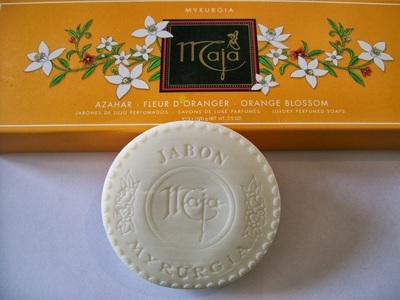 The scent of Maja Azahar is a fresh fragrance that combines the green and citric notes of the orange tree with the delicacy and finese of the orange blossom. The citrus-green top notes of bergamot, citrus leaves and grain gives pure freshness. 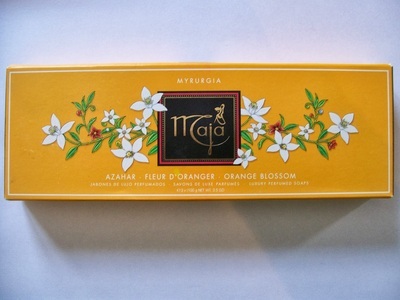 The floral heart of orange blossom and petal is sweet and sensual. And the heart of Orange wood and musk is woody and warm giving pure comfort. 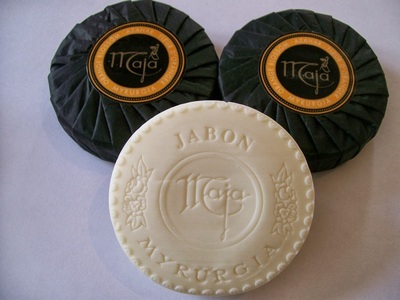 The 3 x 100 g soap in an attractive, orange packaging is just the beginning of a new era of Maja. made in Mexico.